According to the organizers, the SENSOR+TEST in Nuremberg, the internationally leading trade fair for sensors, measuring, and testing technology, shines this year in the light of growth in all key figures. Moreover, the results from exhibitor and visitor polls indicate a high degree of satisfaction for all participants. 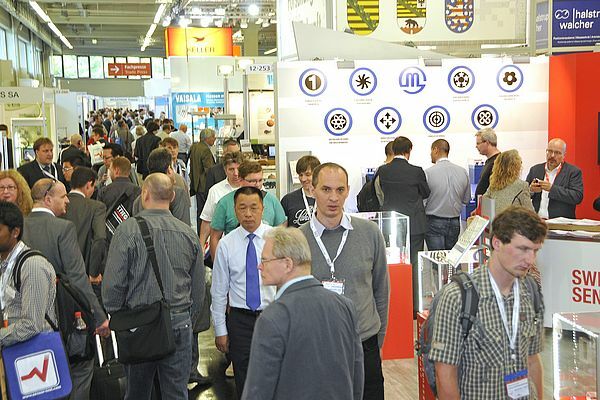 Exactly 7,983 professionals came to the SENSOR+TEST 2014, a slight increase in visitors compared to last year. The increase in the number of exhibitors to 575 - compared to last year's 543 - is more distinct. While the number of German exhibitors (366) remained quite constant, the share of international exhibitors (209) set a new record with 36%. Noteworthy is also that 95% of these exhibitors made new business contacts in Nuremberg - and consequently just as many expect a significant follow-up business. Holger Bödeker, managing director of AMA Service GmbH, the organizer of the fair, has good news about its future: "In 2016 the SENSOR+TEST will move to other exhibition halls. These new halls will provide exhibitors and visitors with significantly enhanced opportunities to advance the innovation dialog. This sets the course for a continued, solid development of the trade fair." The next SENSOR+TEST will be held from 19 to 21 May 2015 again at the Nuremberg Exhibition Center, parallel to the biannual AMA Conferences, SENSOR and IRS².